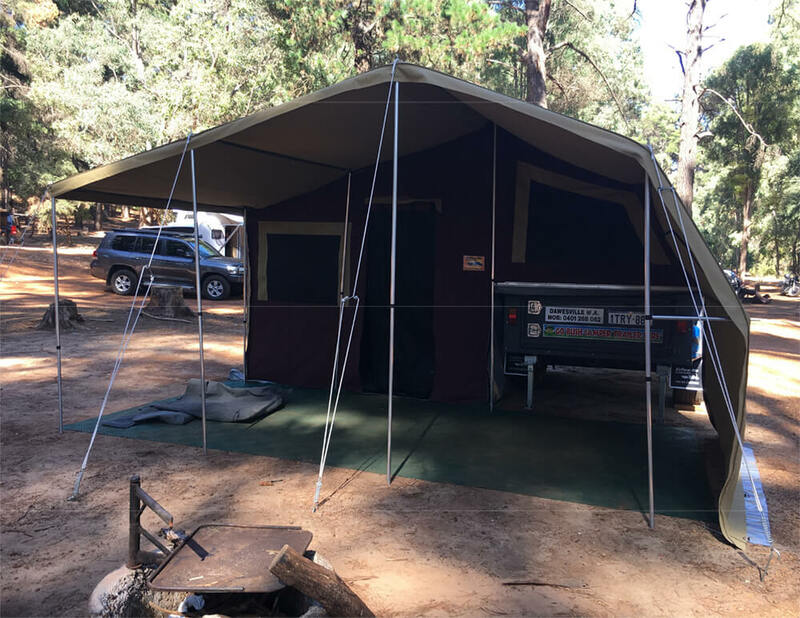 If you are looking to hire the most reliable and easy to use camper trailer for your next outback adventure, why not try our range of locally built soft floor camper trailers. 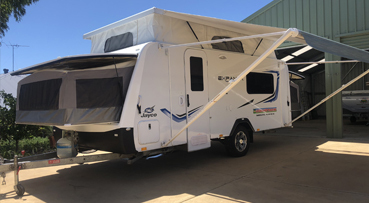 We only hire quality Australian made, heavy duty soft floor camper trailers that we know will go everywhere you want to go and come back in one piece. 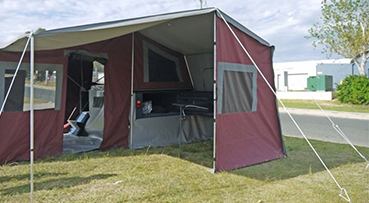 Our campers are an easy walk up into design which enables you to get into bed without rolling over your partner. 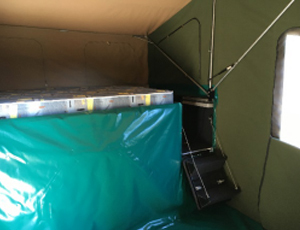 A fully enclosed annex is also available for those extended stays which will double the living space area. 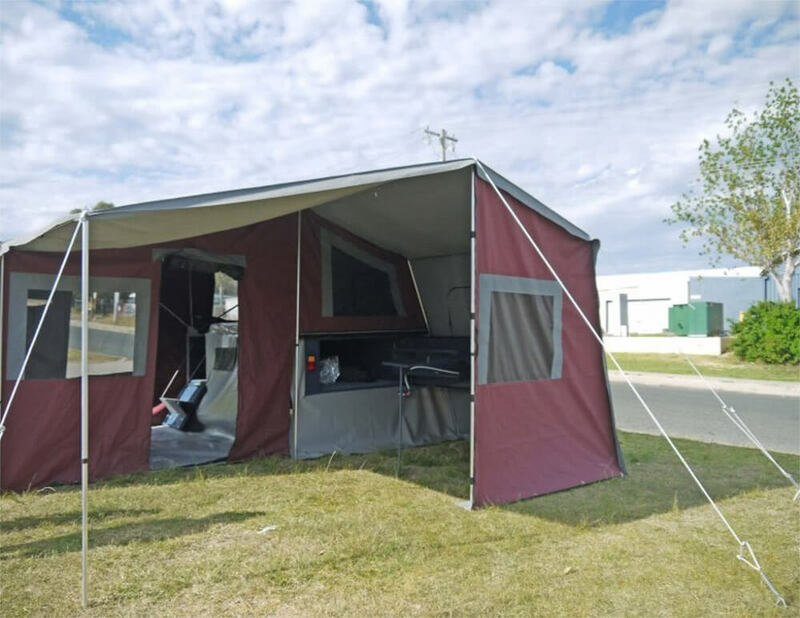 Whether you want a weekend getaway or some serious time-out, our camper trailers come fully equipped and ready to hit the road. Our experienced staff will step you through the process and demonstrate exactly how it is set-up, pack-up, hook-up, as well as how everything works. We will also provide you with a basic guide just in case you need a little help when you get out there. 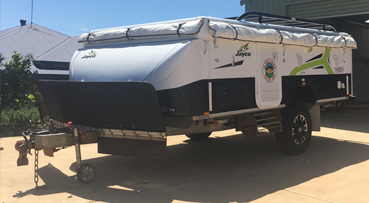 Our soft floor camper trailers may travel anywhere in Australia, including all those off road tracks. 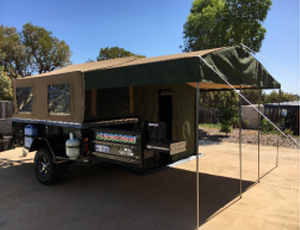 All your food preparation requirements are met with a tailgate mounted kitchen which has a 2-burner gas stove and all your crockery, cutlery and cooking utensils are provided. All you need to do is pack your personal gear, bedding, food and drinks and your sense of adventure as you head off on your next “Great Escape”. Longer term discounts do apply so call us for a quote. 1 week minimum during school holidays.